Infrastructure is critical to the fabric of the internet, as well as to conducting business across the globe. 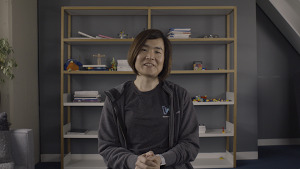 For Google Cloud customers in particular, better internet means means better business operations, better user experiences and the ability to serve even more customers. Many people are coming online across Asia, including businesses that depend on the cloud. That's why it's so important to enable better internet connectivity across the region, and why Google, alongside AARNet, Indosat Ooredoo, Singtel, SubPartners and Telstra, is building a new international subsea cable system in Southeast Asia, called INDIGO. 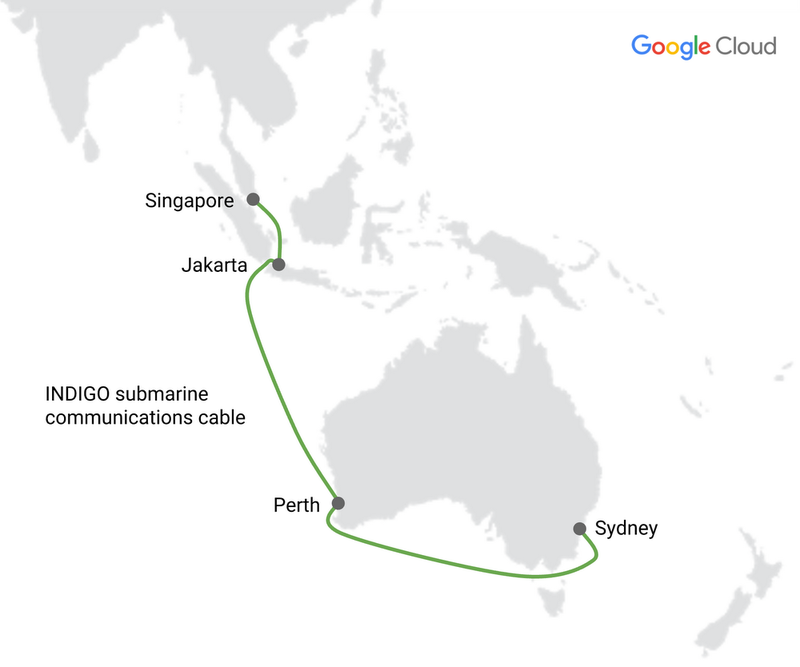 The new cable system will serve Google traffic between Australia and Asia, connecting Perth, Sydney and Singapore, with a branch to Jakarta. Alcatel Submarine Networks will construct the cable, which is expected to be completed by mid-2019. The new cable will span approximately 9,000 kilometers, and its two fiber pairs provide a design capacity of around 18 terabits per second (Tbps), with the option to expand in the future. At 18 Tbps, INDIGO provides enough capacity for people in Singapore and Sydney to join 8 million simultaneous high-definition Google Hangout video conference calls. This is just another example of Google Cloud’s remarkable network backbone—the largest of any public cloud provider. INDIGO opens up opportunities for people in the region and for Google Cloud customers. 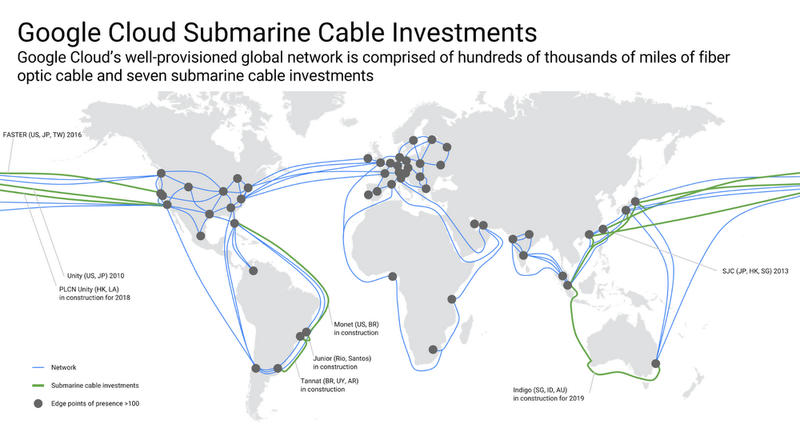 It’s the latest in our ongoing effort to improve Google’s connectivity to Asia; we’ve made seven submarine cable investments in total (this is our fifth in the region)—more than any other cloud. 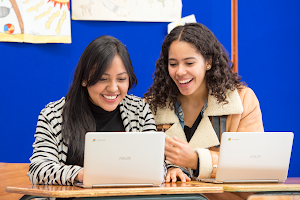 Providing a reliable, secure internet for Google Cloud customers is a top priority for Google; we'll continue to support efforts to improve internet infrastructure, in Asia and across the globe.